I'm fascinated by stories that look across the tracks into other peoples lives. 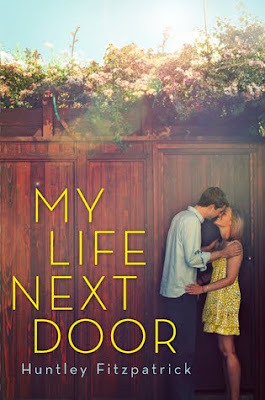 In My Life Next Door, two characters with vastly different lives and families don't just glimpse each others lives, they intersect. They fall in love. I'm drawn to stories like these and I hope this one knocks my socks off! I'm totally looking forward to this one - I've seen a couple of people use it for 'Waiting on' Wednesday recently. That cover art is just AWESOME, isn't it? Great pick! I can't wait for this book either! Great pick!